The advances of technology in recent years caused profound changes in the habits of people, especially in terms of the use of mobile phones, social networks and instant messaging applications. 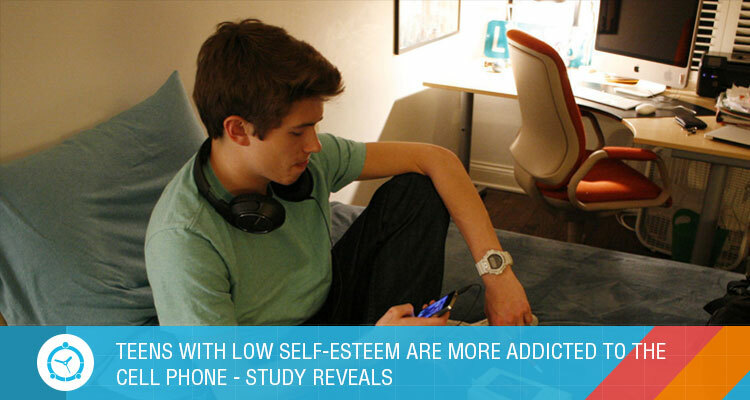 But through research it was determined that adolescents, frequent users of this type of device, could be more “addicted” due to their potential low self-esteem. Among its conclusions, the existence of four fundamental features for the addictive use of cell phones in adolescents was highlighted: the one that excels is that of low self-esteem, followed by an important introvert and a low level of responsibility and emotional stability. To arrive at these results, the researchers conducted surveys – which included a self-esteem test and a personality test – to about 250 students. These two characteristics, they said, are cumulative, so “people with low self-esteem may have a greater predisposition ” to suffer this addiction. Control kids’ habits: Studies developed by marketing companies and mobile applications determined that, on average, the phone is reviewed more than 100 times a day. Evaluate how the cell affects daily activities and make your kids understand that they can not be attentive to the device at all times, hence, they should reduce its constant review and get indulged in other activities too. Uninstall applications with which kids lose too much time.Young people often download an infinity of applications that often do not help the normal development of their daily activities, but rather hinder them. It is best to leave only those that are considered important in the day to day, to study or communicate with family and friends. Set aside the device at meal times, study hours and sleep timings.The cell phone can be a permanent distraction when doing a school assignment or preparing an exam. If it is off or locked kids can optimize performance and increase concentration. Also, know that spending time with your cell phone, before bed will favor a correct sleep conciliation. So, it is best to cut their use early to achieve a good rest. Know all the tricks to make your kids great human being and help them enjoy their life to the fullest. Happy parenting! 6 DISORDERS CAUSED BY THE EXCESSIVE USE OF SMARTPHONES AND TABLETS!